AABSyS is constantly committed to innovation while providing GIS mapping services to its clients. AABSyS has reiterated its commitment to state-of-the-industry technology, research and innovation while providing GIS mapping services. It is this commitment that has made AABSyS a well-known and reliable GIS data conversions service provider. AABSyS’ complex GIS mapping and GIS remote sensing services includes data capturing, raster to vector conversions, georeferencing, storing, integrating, manipulating, analyzing, and displaying data related to positions on the Earth’s surface. The company’s GIS services helps customers to produce a variety of maps, including contour maps, spatial maps, atlas maps, ground cadastral maps, city plans, road networks, thematic and zonal maps, landscape maps and environmental maps. AABSyS in general also takes up projects for georeferencing and standardization of existing vector data in the GIS Mapping sectors. It caters to a host of industries such as utilities, mining, agriculture, oil and gas pipelines, town planning, and other GIS mapping and GIS remote sensing companies. AABSyS is one of the preferred offshore CAD outsourcing vendors for customers outside India. It provides CAD, GIS, web site design and programming services. 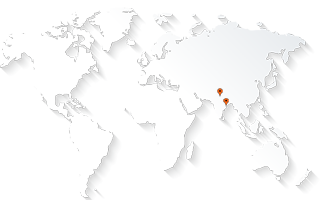 AABSyS location has an added cost advantage of being based in one of the most preferred IT destinations amongst the II Tier cities in India. AABSyS operates from its state of the art infrastructure spread across 43000 sq. ft. at Infocity. Bhubaneswar, India.